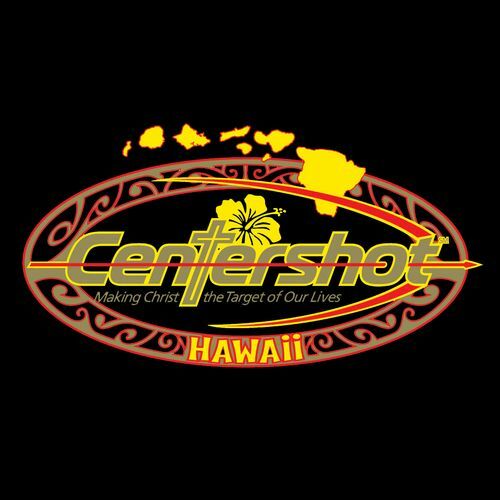 Centershot Hawaii is a ministry designed to, "Make Christ the target of our lives." 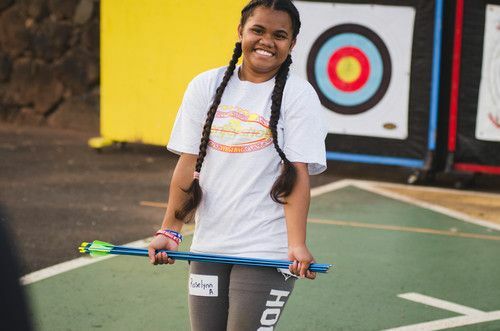 This free program reaches out the the youth of Hawaii using the skills of archery not only to make us better archers, but to make us deisciples of Jesus. Each 8 week session sonsits of 30 minutes of shooting, 30 minutes of Bible Study, then another 30 minutres of shooting. The youth do not need to purchase anything in order to participate. 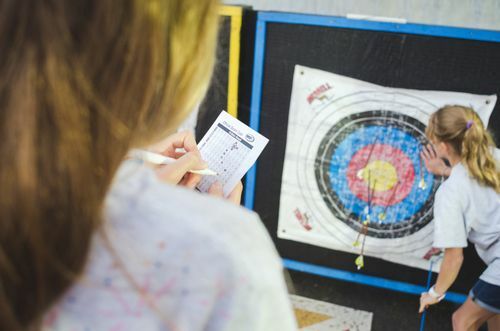 We use Mathews Genesis bows, and Easton 1820 arrows, which are the same quality equipment used by the NASP within the school districts. Since the Hawaii School district, not the State of Hawaii would help us due to the seperation of church and state, all of our equipment and resources come by means of generous donors who have been led of God to support the work that He is doing. 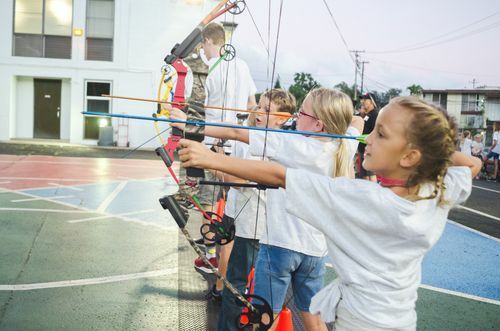 Our range is located on our church property and is outfitted with 12 targets, kevlar saftey netting, and over 30 nationally qualified instructors maintaining a minimum of a 2:1 Instructor:Student ratio, all of which help to provide a safe environment for both our students and neighbors. For more information, check out our facebook page, or check us out on instagram. 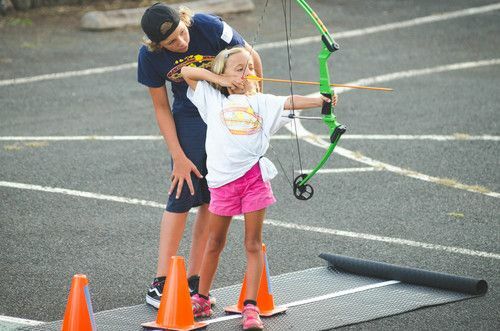 May the Lord continue to use Centershot Hawaii for His glory and may He bless you richly. Ten years ago, my wife April, was diagnosed with cancer. Part of what helped us get through the ordeal was participating in the shooting sports. Not only was it a stress release, but you needed to be focussed to be successful. We would practice on our church property, in the struggling community of Waipio Valley, on the Island of Oahu. Our church is flanked by two apartment buildings primarily consisting of people who have moved here and are represented by a multitude of ethnic cultures. Since we are all just are barely scraping by, many of the youth can’t participate in sports that require fees and equipment including soccer, baseball, etc. 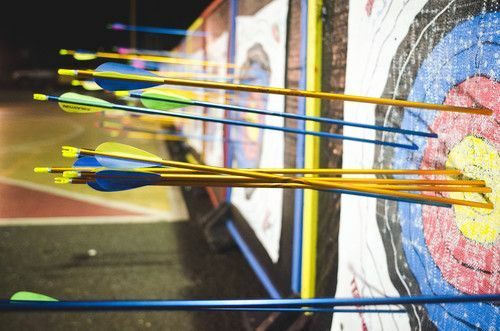 The kids around us would watch my wife and I shoot our bows but there was no equipment for them to participate in a safe way. Then when one teenagers got up the courage to ask if he could give shooting a try, but we had to say, "No. ", because of the lack of equipment that was fitted for someone his age. 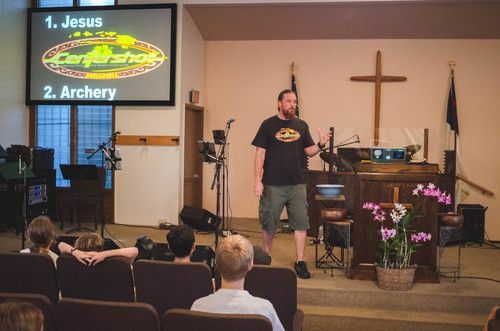 This bothered us a lot and we thought it would be awesome to get an archery ministry going to have something for kids to do for free . . . And so we started to pray. 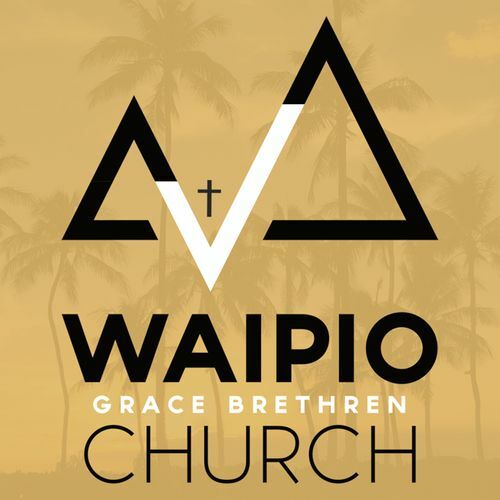 Along with more than 30 other leaders from Waipio Grace Brethren Church, we took a step of faith. 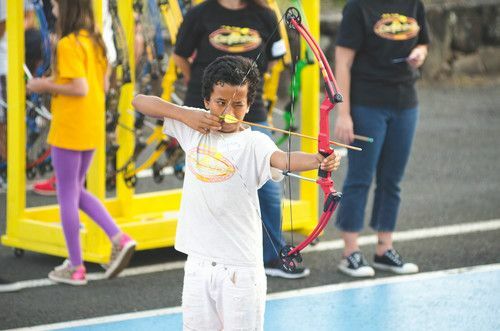 Centershot Ministries already existed as a nationally-run ministry of Mathews Bows Inc., existing to help children be evangelized through the ministry of archery. Therefore, I reached out to them, and with their generous guidance and support, Centershot Hawaii was soon born. 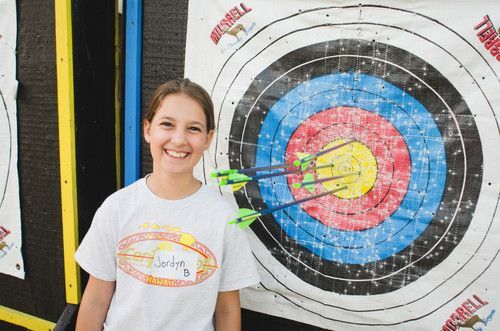 The ministry is designed to “make Christ the target of our lives through archery and Bible study.” Each session includes an hour of archery practice, using the universally acknowledged, “11 Steps to a Successful Archer,” and includes a Bible study in between, each with a biblically applied archery theme. The ministry also provides kids with all the equipment needed, shirts, caps, and prizes – all completely free! These youth are looking for something that isn’t just hype and therefore our simple vision is to make disciples of Jesus and keep Him as the target of our lives. 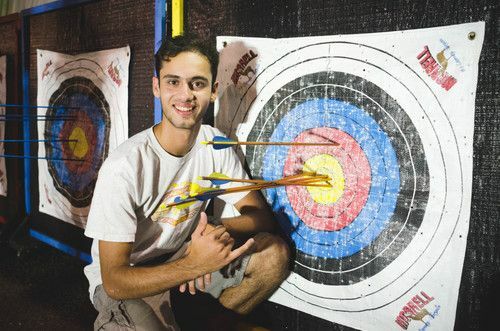 Please fill out this form if you are interested in registering a new student for Centershot Hawaii. Please fill out this form if you have a current student who is wanting to return for our next session. Please look at this form for the rules and requirements for our 2019 Centershot Hawaii Tournament. Please fill in this form and return it to us if your child is interested in participating in our 2019 tournament.